Facebook fan page and Facebook profile. Why it`s important to know the difference? Very often we can hear someone saying two definitions – Facebook page and Facebook profile. In most cases people think that these phrases have the same meaning. However, it`s not true, and we must understand the difference between each definition. 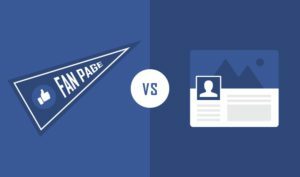 In this article, we will show you how Facebook page differs from Facebook profile and where they could be used. 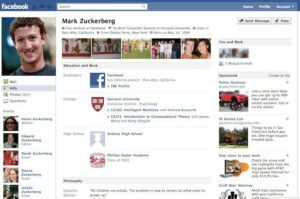 Facebook profile is a personal user`s account. It couldn`t be used for commercial targets or business objectives. When you register in Facebook, your account is named as Facebook profile. People use such profiles to chat with friends, add their personal photos and posts, follow interesting pages and celebrity’s accounts, scroll the news feed and watch videos. Even if all your updates are public, only users that will be added as friends will be able to see your content. People who are not added to your friends list and just started following your account, will be able to see all updates and posts you share but not the content you share with friends or groups. This is why Facebook profile is not the right choice for starting your business activity, especially promoting products and attracting customers. What is a Facebook fan page? 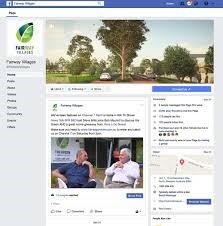 A Facebook fan page is an account dedicated to a specific company or organization. For the first time, there is no difference between it and Facebook profile. However, it gives you a list of extra abilities that could be used for business promotion. One of the advantages is that you can have many Facebook pages tied to your name. If we are talking about Facebook profile, here you can have only one account. Also, we should mention that Facebook page could have multiple access. What does it mean? Different users could enter such account using their personal logins and passwords. Artists, brands or public figures. Each category gives you an access to different features. Each category differs from others, so you should decide what exactly you need. These two features help developers to control their Facebook page activity, analyze the user`s feedback and to have a regular statistic from the page. 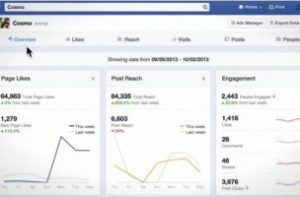 It`s called overall activity that contains the number of likes, comments and shares and the number of visits. Developers could also see who exactly visited their page (depending on age, demographic, location and other points). As you see, Facebook fan page and Facebook profile differs from each other completely. Both of these accounts could be used for regular activity, but as you see, they have different abilities and tools that could be used. We hope you`ve enjoyed this information and will use it in the future.